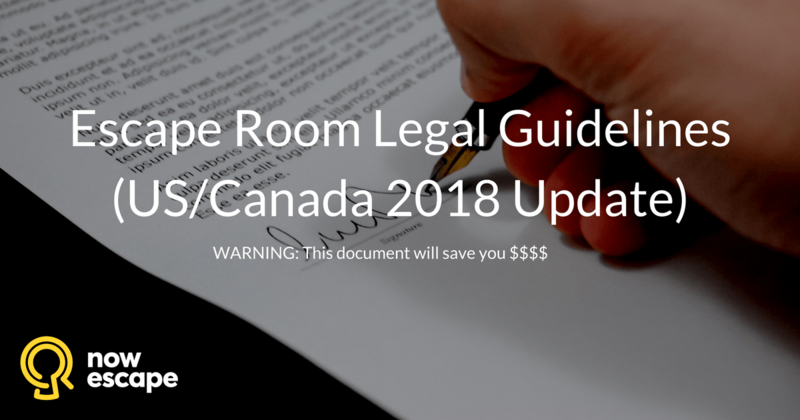 This blog is by no means a substitute for formal legal advice, but hopefully it helps you start conversations with your local lawyer. Sole proprietorship: A business owned and managed by one individual—you. A sole proprietorship is not a separate entity, so all income and losses need to be reported on your personal income tax return. In addition, you are personally liable for any debts/liabilities. General Partnership: An unincorporated business with two or more general partners—you and a friend. Each partner has an equal right to manage the business, and the profits/losses are usually shared equally among the partners. Each partner has unlimited personal liability. Limited Partnership: A partnership with both a general partner and a limited partner—you and an investor. A general partner is responsible for managing the day to day operations of the business, and has unlimited personal liability for its debts. By contrast, a limited partner only provides financial backing, and does not participate in the management of the business. A limited partner’s liability for debts is limited to the amount of his/her investment. Partnerships are typically formalized with a written partnership agreement, and registered in the state/province where they conduct business. For tax purposes, partnerships are considered “pass-through” entities. While the partnership may need to file some kind of “informational” return, it does not actually pay income tax. Rather, each partner includes his/her share of the partnership’s income or loss on his/her personal income tax return. Corporation: A distinct legal entity that is separate from its owners. 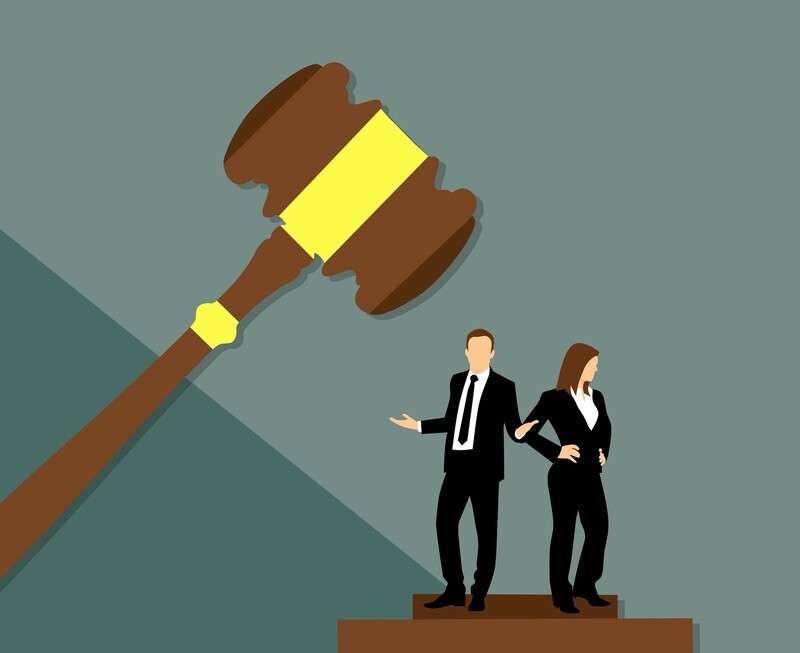 A corporation has many of the same rights as an individual, including the right to enter into contracts, own property, hire employees, borrow money, sue and be sued. Corporations are owned by their shareholders—you and others, who share in profits of the business (through dividends and/or stock appreciation). 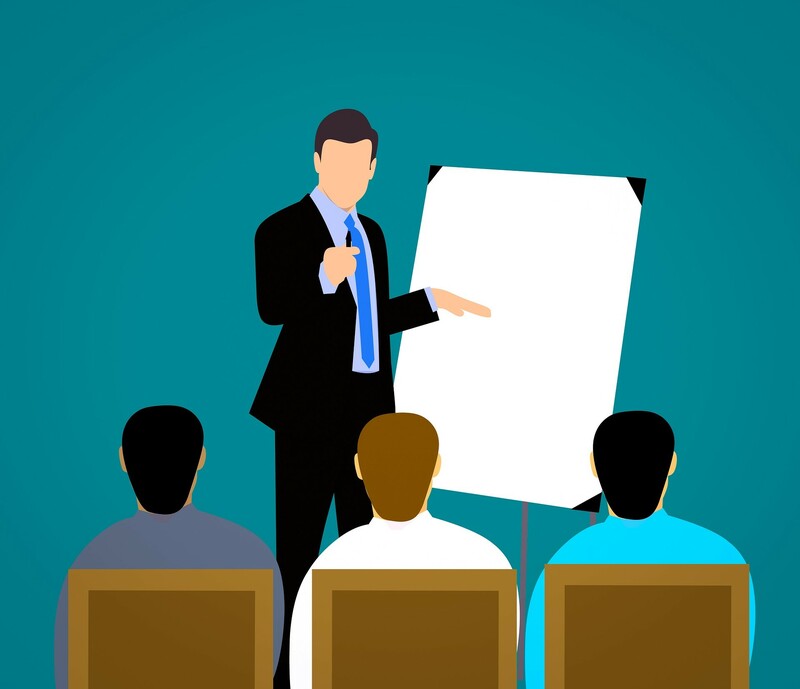 Corporations have a number of formal incorporation requirements, including filing “articles of incorporation” with the state/province, creating corporate bylaws, appointing a board of directors, and issuing stock certificates. In terms of taxation, a corporation files its own tax return, and pays the applicable corporate income tax rate on any profits. Some states tax the corporation on its net profit, and also tax shareholders when the corporation pays a dividend. S Corporation: A small US corporation that meets specific IRS requirements found in Subchapter S. Requirements include, that the corporation be 1) domestic, with no foreign shareholders, 2) have 100 shareholders or fewer, and 3) issue only one class of stock. An S corporation has the benefits of incorporation, and the benefits of pass-through taxation. Limited Liability Company (LLC): A US legal entity in which members of the company cannot be held personally liable for the company’s debts or liabilities. An LLC combines the limited liability of a corporation with the pass-through taxation of a partnership/sole proprietorship. LLCs typically need to file “articles of organization” with the applicable state, as well as create bylaws, and an LLC operating agreement. 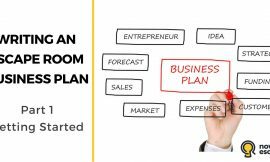 Once you form your escape room business, it is time to find the right place to set up shop. Obviously, you want a location that appeals to customers, but you also need to ensure the space is suitable for your type of business. Zoning laws define how property in specific geographic zones can be used. First, an area defines the types of permissible buildings, such as residential, commercial, or industrial. Second, zoning laws have detailed requirements regarding the physical layout of buildings, parking, signage, and use. Unfortunately, there are no universal zoning laws— they are specific to each county, city, municipality, etc. so I can only provide a place to start your zoning adventure. Residential: land used for housing. Typical residential buildings include detached houses, apartments, condos, townhouses, foster homes, trailer parks, and senior citizens homes. Commercial: land used for commercial business purposes. Typical commercial buildings include business offices, banks, retail stores, restaurants, public garages, pharmacies, and cinemas. Industrial: land used for manufacturing/industrial purposes. Typical commercial buildings include factories, breweries, power plants, refineries, water towers, and mills. Escape room businesses are so new/unique that many municipalities have difficulty zoning them. Typically, escape rooms are found in commercial zones, but many have been approved in industrial areas as well. Placing escape rooms in a specific “use” category is even harder. 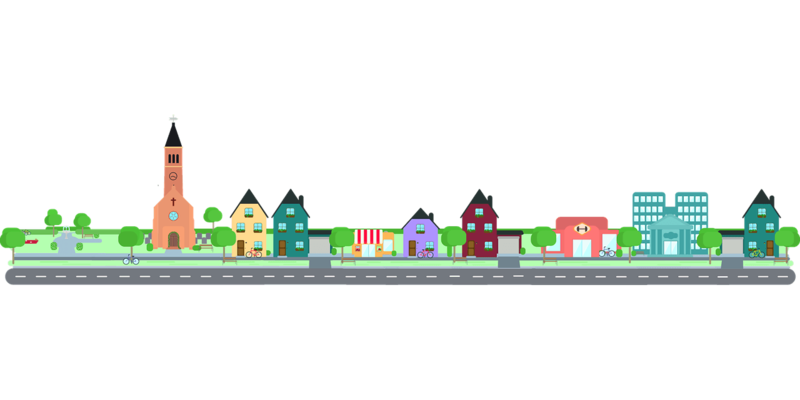 You will need to provide the zoning board with information such as operating hours, expected occupancy, staffing requirements, noise levels, parking needs, and descriptions of how escape games work. Another concern for escape room businesses are building/fire codes, specifically regulations regarding locked doors. In many jurisdictions locked doors are deemed a fire or safety hazard. As such, many escape rooms leave doors unlocked, or install panic buttons that automatically release all locks. General Liability Insurance: an insurance policy that protects your business if it gets sued. A potential lawsuit could be if a player suffers an injury playing your game. General liability insurance should cover the legal fees to defend against the player’s personal injury (tort) lawsuit. It should also cover any damages/medical costs awarded to player if they win the suit. Commercial Property Insurance: an insurance policy that covers damage to your building/contents from events such as fire, theft and natural disasters. A related subset is “business interruption insurance,” which covers your business’ lost income while you are rebuilding after the disastrous event. Workers’ Compensation Insurance: an insurance policy that covers medical expenses/lost wages when an employee suffers an injury as a result of their work. The majority of jurisdictions require businesses to carry workers’ compensation insurance. The system is structured so that workers give up their right to sue in favor of receiving automatic compensation (regardless of who is at fault for the injury). Cyber Liability Insurance: an insurance policy that covers a business’ liability for data breaches that expose their customers’ personal information. Most escape rooms collect players’ contact information and credit card data when they book online, so data breaches are a potential threat. Finding dependable staff is an important part of running any business. 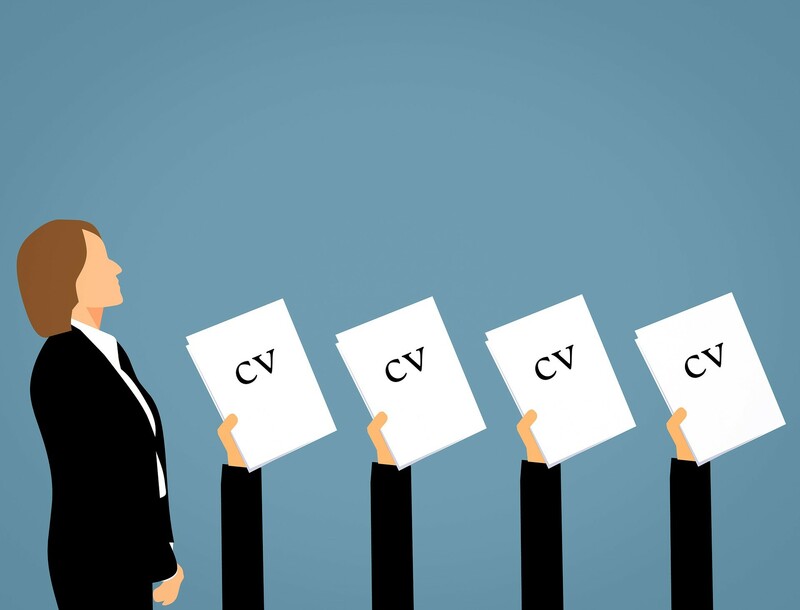 When you hire workers it is important that you understand how they are classified. A worker’s classification affects tax obligations, termination procedures, workplace injuries, and more. Control Test: The control test examines whether the payer (you) has the right to control the actions of the worker. If you control when, where, and how the work is done, your worker is an employee. By contrast, if your worker is given a defined objective to achieve, but given complete freedom as to how to attain that objective your worker is more likely to be an independent contractor. Economic Reality Test: This test explores the economic practices of the worker. If the worker has the ultimate responsibility for any profit or loss of the contract, he/she is most likely an independent contractor. By contrast, if the payer is taking all the financial risks the worker is most likely an employee. Specific Results Test: The specific results test considers the nature of the service provided. If the worker is working to achieve a specific objective he/she is more likely to be deemed an independent contractor. By contrast, if the worker is providing ongoing personal services with no specific objective, he/she is more likely to be considered an employee. Integration Test: This test analyzes the worker’s degree of involvement in the business. If the worker’s services are integral to the business’ success he/she is likely an employee. By contrast, if the services appear to be part of the worker’s own separate business he/she is more likely to be an independent contractor. Reasonable Basis Test: This test considers how prior courts and/or tax regulators have classified similar workers. They may compare the worker to others within your company, and/or to similar workers in your industry. In the escape room context, you may end up hiring employees, independent contractors, or both. For example, game masters are most likely to be deemed employees— they work on your business premises, using your equipment, are trained by you, have set hours, receive regular wages, etc. However, you may also contract with independent contractors, like a website designer to achieve one specific objective (make you a website). Copyright Law: protects original works of authorship in literary, dramatic, musical, or other artistic fields. The owner of a copyrighted work has the exclusive right to sell it. As such, the author has the right to sue if someone copies their work without permission. The work does not even need to be an exact copy, just “substantially similar” to the original. For example, J.K. Rowling may be able to sue someone who creates a Harry Potter escape room. First, she would need to prove that the copier had access to the original—easy since the books are widely published. Second she would need to argue that the copy is “substantially similar.” A generic wizard story is unlikely to be infringing, but an escape room with identical plots/characters (a wizard school, pet owls, forehead lightning bolt, broomstick sports, etc.) may be deemed substantially similar. Infringers can be hit with various penalties. First, the court will order the infringer to stop doing so, this is called an injunction. This means the court can shut down your escape game. In addition, infringers may face monetary penalties. 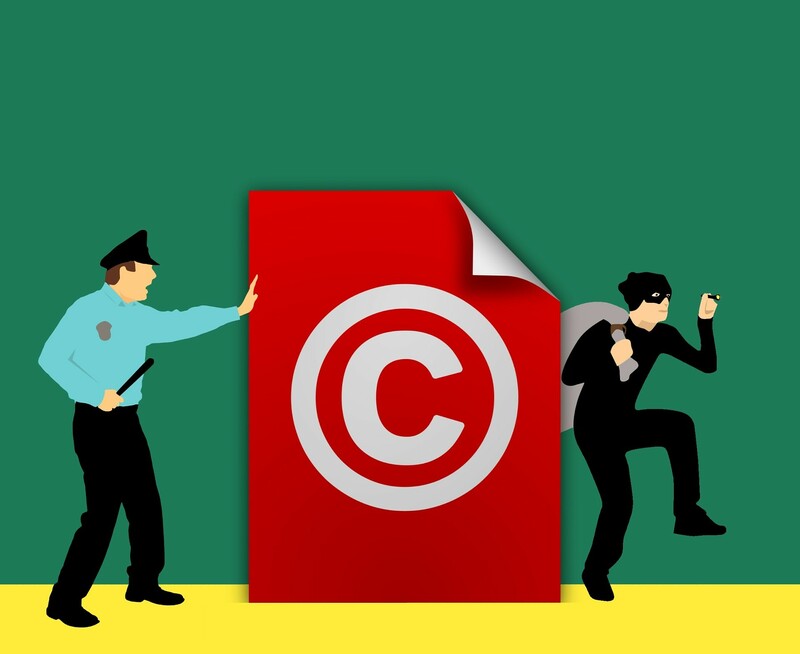 The copyright owner may be awarded damages for his/her lost profits, profits the copier earned as a result of the infringement, and sometimes attorney fees. In some states, there are also statutory monetary penalties for copyright infringement. Finally, in rare cases of willful copyright infringement infringers may face criminal penalties, including jail time. Trademark Law: protects distinctive logos, emblems, and symbols that identify the owner’s brand/goods, and distinguishes them from others in the market. Trademark owners can sue when someone uses their mark without permission, and said use is likely to confuse consumers. For example, if you use the Superman symbol in your escape room you may be sued for trademark infringement. Using the distinctive “S” shield without permission may confuse the public by suggesting that your escape room is somehow affiliated with the Superman brand. Trademark infringers usually face court orders to stop using the mark, and destroy objects displaying the mark. In addition, the trademark owner may be awarded monetary damages. Typically they are awarded lost profits and/or profits made by the infringer. However, in some jurisdictions, the court is allowed to award damages up to three times the amount of actual lost profits. In some cases infringers may also be required to pay the owner’s attorney fees. Finally, in severe cases, trademark infringers may face criminal penalties. 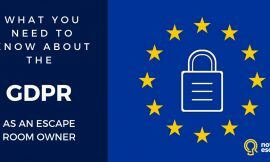 Once your escape room is up and running, you need to make sure it is safe for players. If someone is injured/harmed playing your escape game, they may sue your company under tort law. A tort is a civil wrong that causes someone else to suffer loss or harm. The most common tort is negligence—failure to use reasonable care. If you or your employees are negligent, it can lead to accidents that injure someone or damage their property. Room Safety: A first step is to minimize trip/slip hazards on your premises. For example, promptly cleaning up any spills, and placing “watch your step” signs on stairs. Similarly, in the escape room, you should cover potentially dangerous objects, such as electrical outlets, with obvious “Do Not Touch” symbols. After each game you should ensure that game props are properly reset, and none of them are broken/defective. Monitor Players: Make sure your staff pay attention to players throughout the game. Staff should keep a special eye out for intoxicated players, child participants, or other players that are more likely to get hurt. Attentive staff can also see if players try to climb things, move heavy objects, or do other things that could cause injury. Waivers: Waivers are essentially a contract where someone voluntarily relinquishes a known right—in most cases their right to sue. 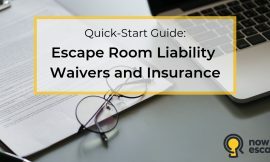 A well-written waiver will outline the risks of playing an escape room game and ask players to voluntarily accept those risks. Waivers can be helpful for a number of reasons: Ideally, your escape room is in a jurisdiction that accepts waivers as enforceable contracts. If that is the case, the player may be barred from suing at all. Second, a waiver can be used as a defense in a lawsuit. You can argue that the player assumed the risk of injury, was responsible for their own safety, and any damage award should be reduced accordingly. Third, waivers are a handy scare tactic. Signing a legal document will hopefully make players take the game seriously, and play safely. General Liability Insurance: Not all lawsuits can be prevented, so it is wise to carry liability insurance to cover litigation costs you may face. Hopefully, this brief introduction to various laws will help you in your business endeavours! 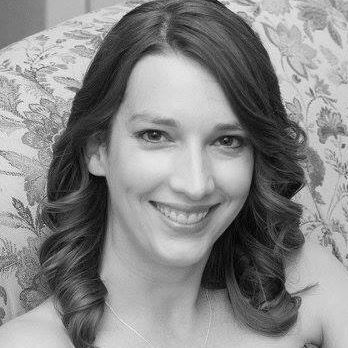 Laura Kendall is the Co-Founder and Marketing Director for EscapeAssist Software. 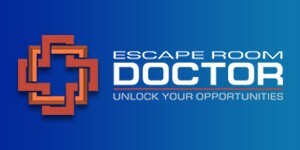 The EscapeAssist team has designed an all-in-one escape room software – game manager, booking system, website builder, digital waiver, leaderboard, and automatic player follow-up all in one app! Laura is a licensed California attorney with experience in various areas of law, including civil litigation, employment, insurance defense, and intellectual property. She is an escape room enthusiast who has played over 50 games around the world. Laura is very active in the escape room industry as a blogger, top Quora writer, and contributing author for the escape room trade magazine “The Last Lock.